Candy Corn! 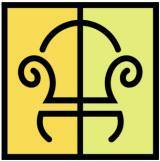 Trivia, Decor and Food – really? 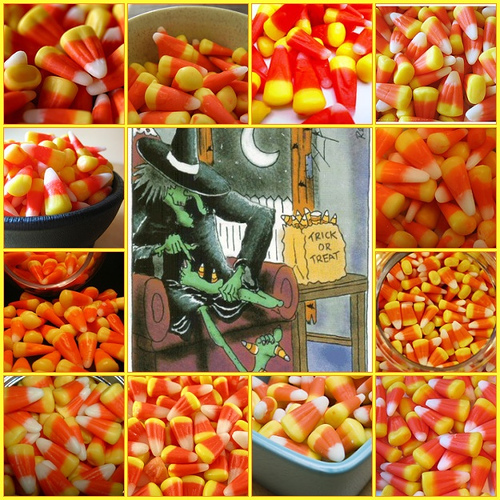 The origin of candy corn. 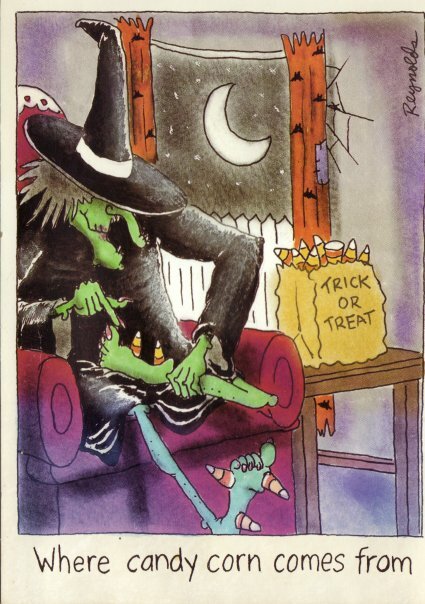 This card (which I received 5 years ago) is so Halloween-gross, it still cracks me up! Actually, the sweet little treat was invented in the late 1800’s, and because we were predominately a farming society then, the idea was to make candy in the form of something people would recognize. Corn! We have been eating these tiny kernels of corn for over 200 years! Don’t tell the First Lady but this month 20 million pounds will be sold. Okay I have touched on some Corn Candy trivia so let me show you another very simple way to decorate with candy. 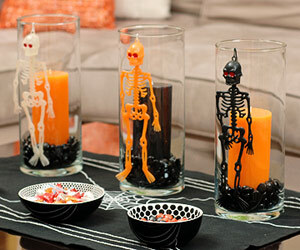 You could also use the candy instead of glass rocks under the candle. Black bowls and Candy Corn. Told you it is simple! To make an easy, crowd pleasing Halloween treat using Candy Corn try this version of an American staple: Rice Krispy Bars. Melt butter and marshmallows; stir until smooth. In a large bowl, mix rice cereal, candy corn and miniature chips together. To marshmallow mixture, blend in 2 drops yellow food coloring and 1 drop red food coloring, adding more coloring if necessary to reach desired shade. Add marshmallow mixture to cereal mixture; stir quickly to combine. Spread on a large buttered pan; press with buttered hands. (Or shape the entire glob into a pumpkin, ghost, or candy corn (!) shape before refrigerating and decorate accordingly.) While warm, press on candy pumpkins spaced 1 to 1/2-2 inches apart. Refrigerate and cut into squares. 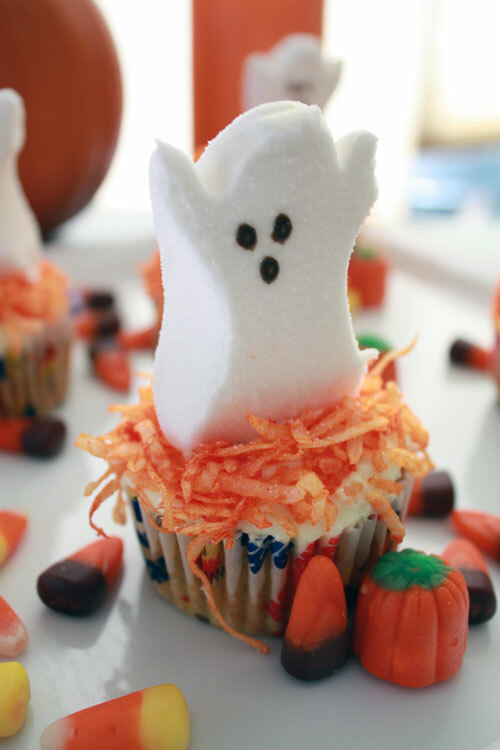 but this is the season to embrace that waxed little marshmallow treat – Candy Corn! It is possible to honor the integrity of PEEPS, and to incorporate candy corn as an element of decor.